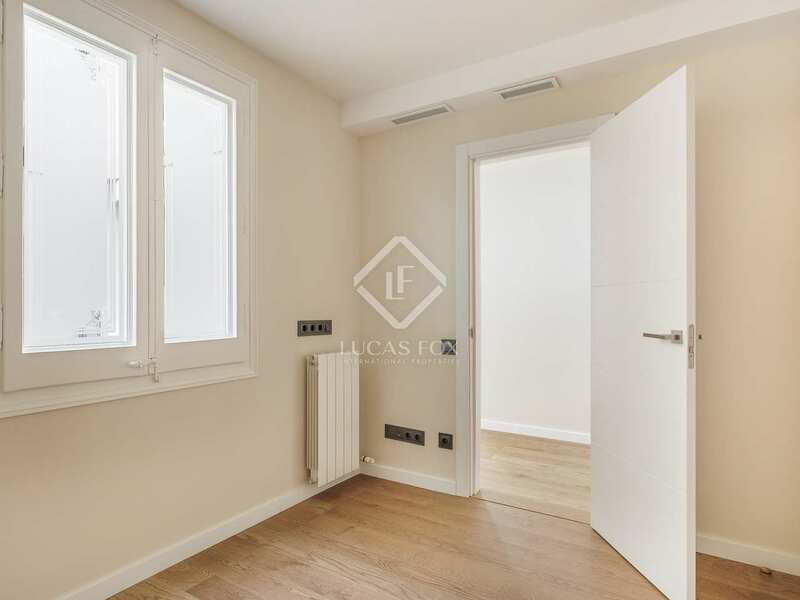 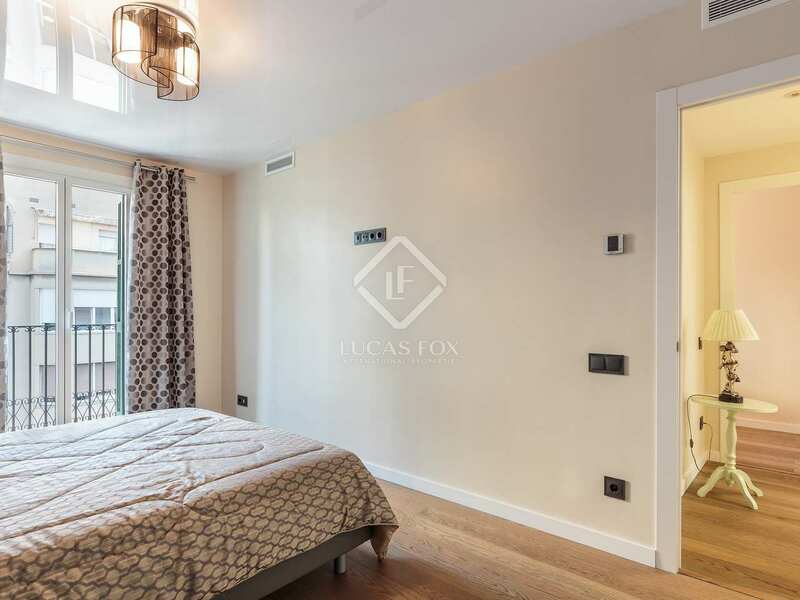 Spacious and bright apartment for sale in the sought-after 'Golden Square' of Barcelona's Eixample Right. 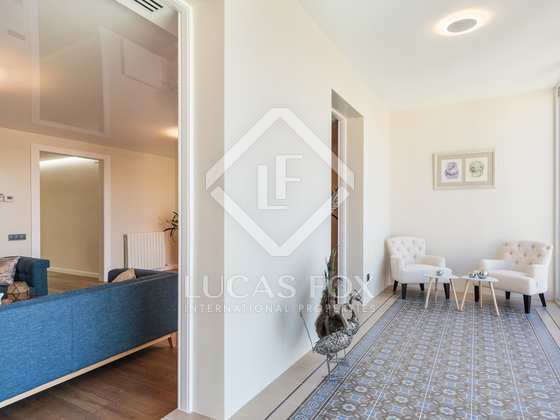 This beautifully presented apartment is within a classic 'finca regia' dating back to the 19th century. 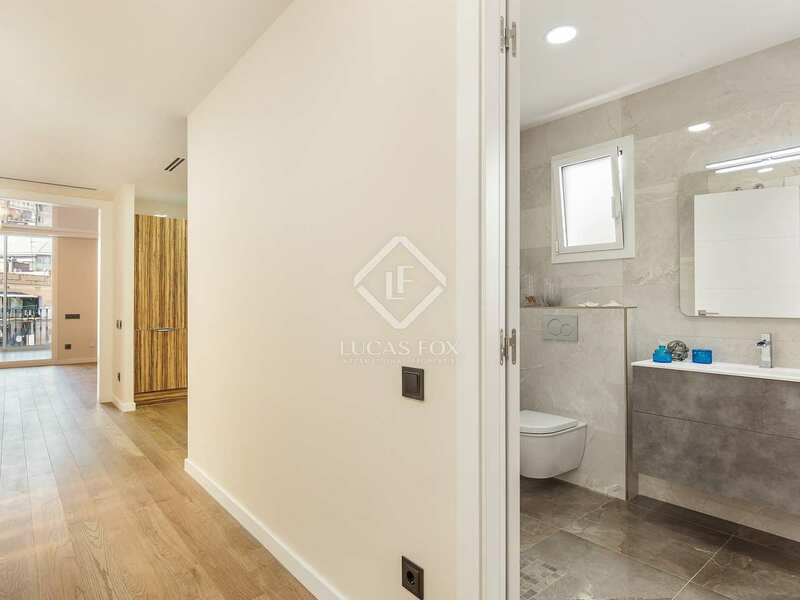 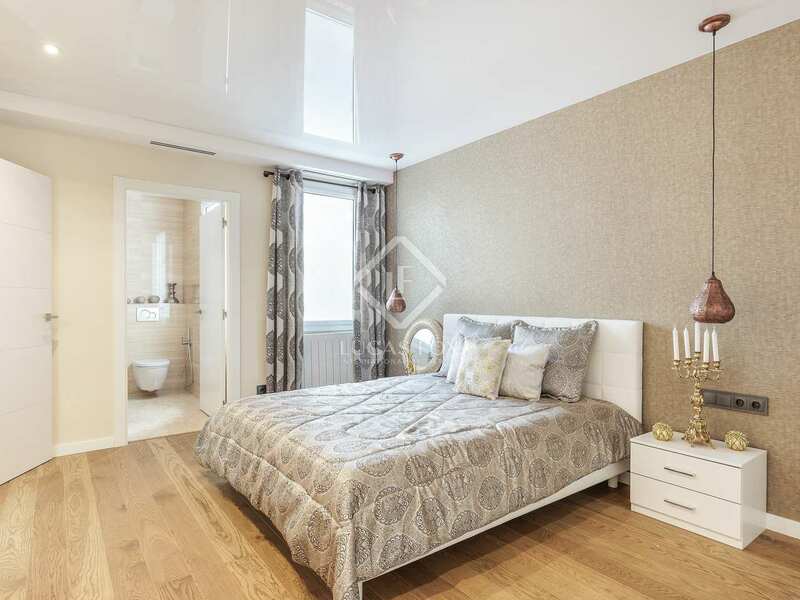 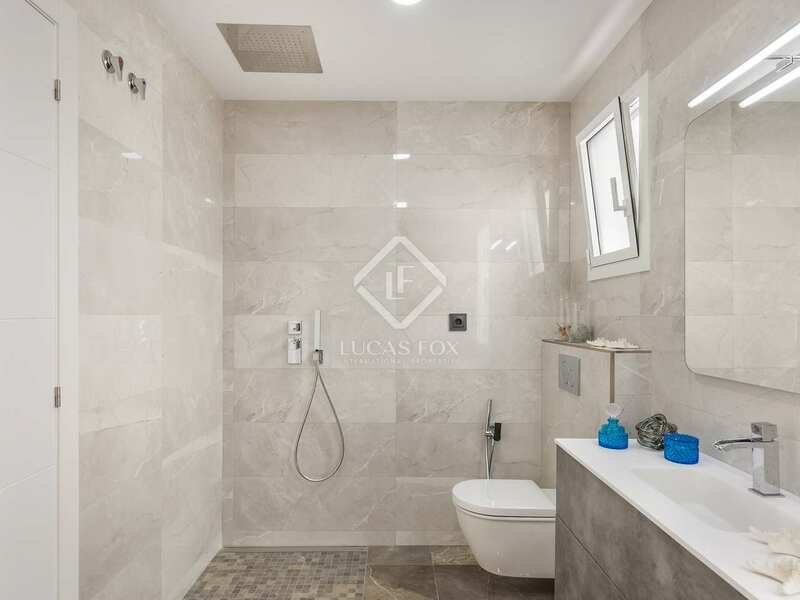 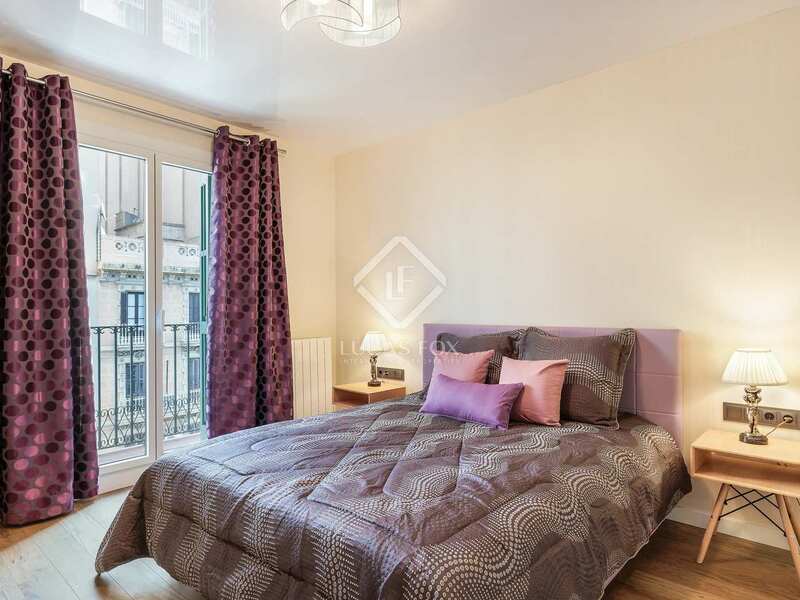 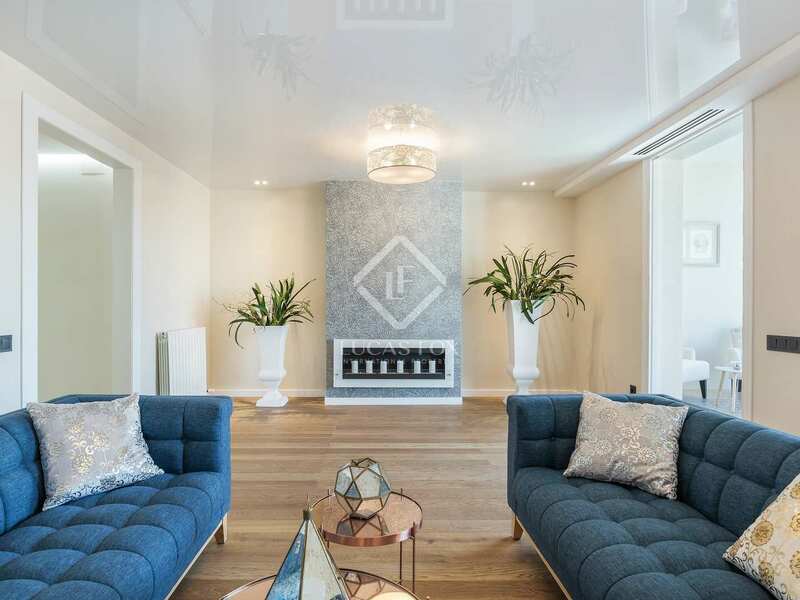 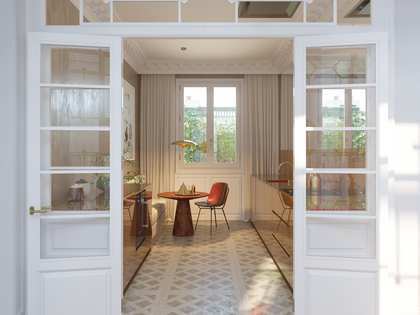 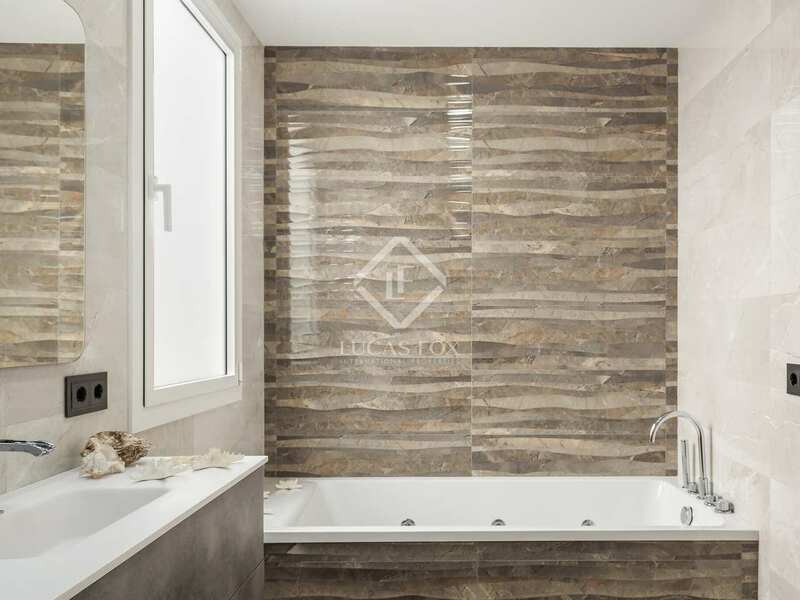 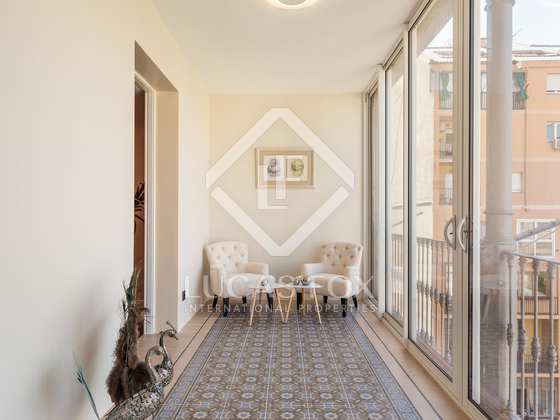 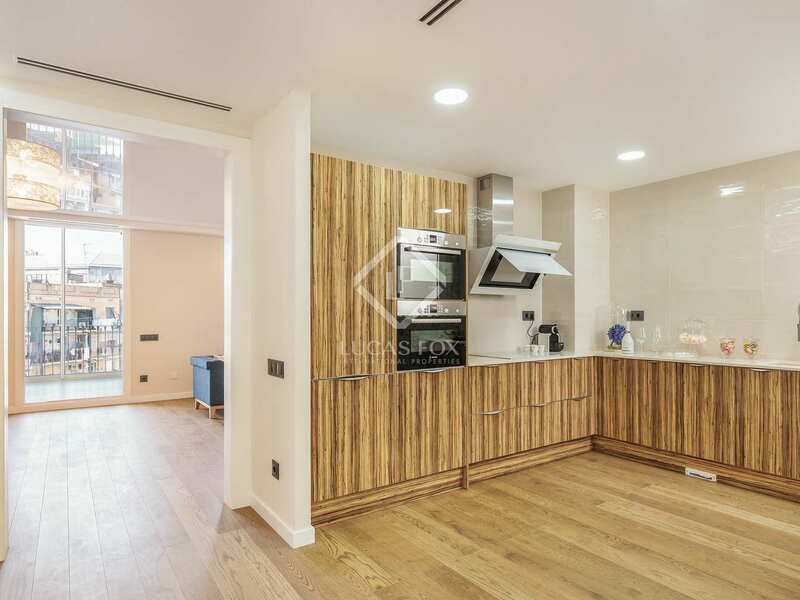 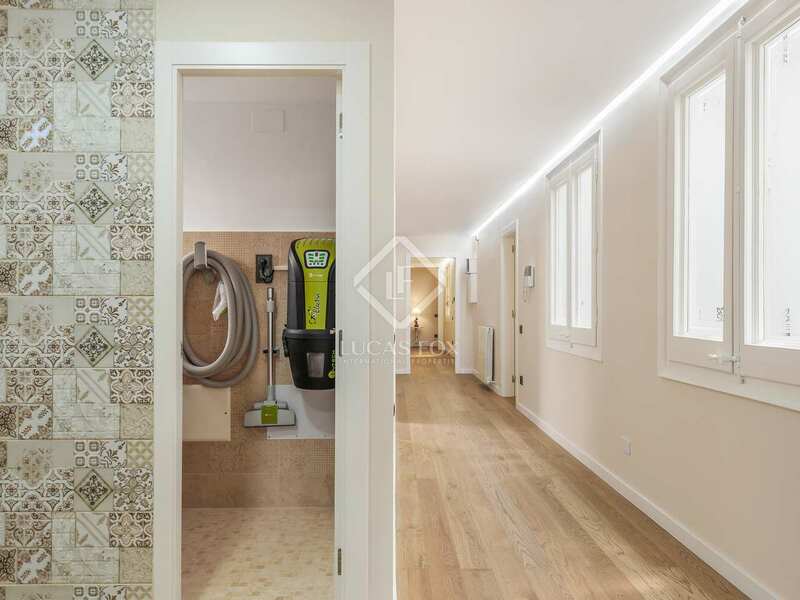 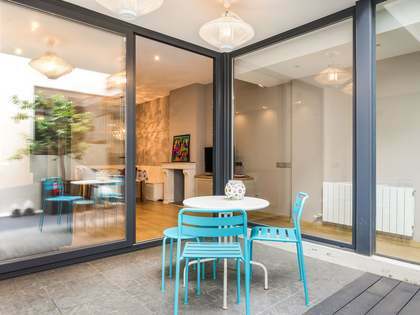 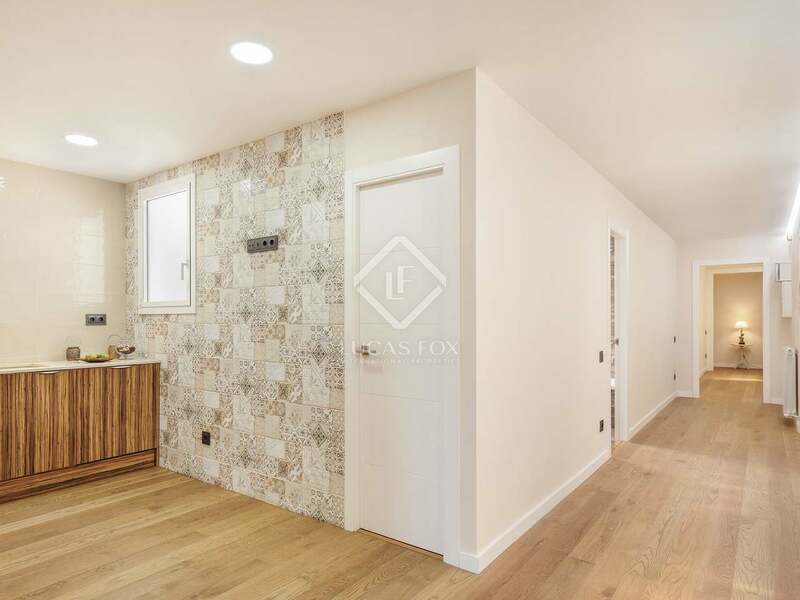 Located in the sought-after 'golden square' of Barcelona's Eixample Right, the property is well connected to the rest of the city by public transport and in walking distance to many of the city's most famous sights, best restaurants and exclusive shops. 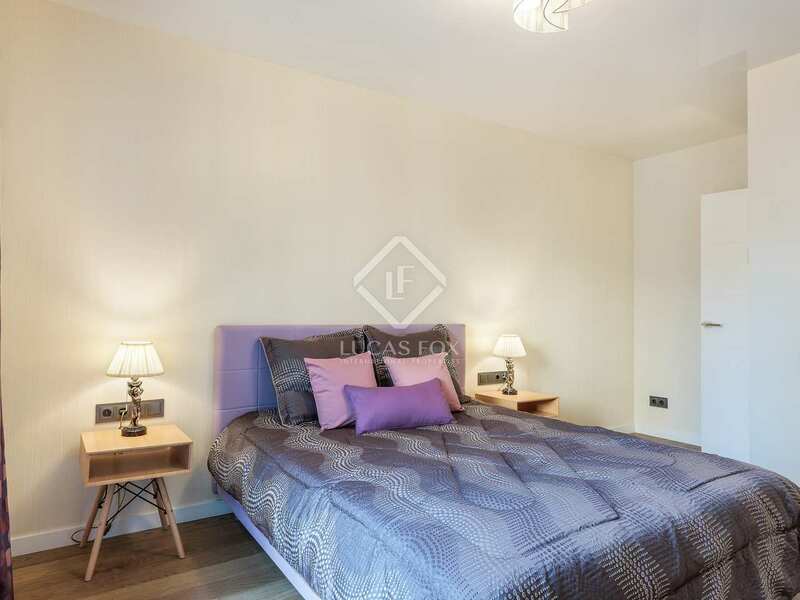 On entering the apartment we find 3 large double bedrooms to our right. 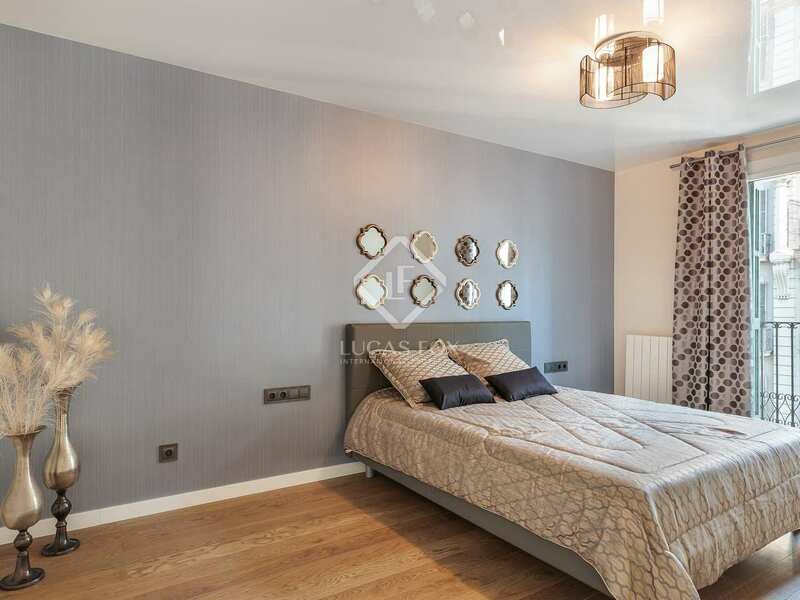 Two of these bedrooms have access to a balcony with views of the street below, these rooms are soundproofed with K-LINE aluminium. 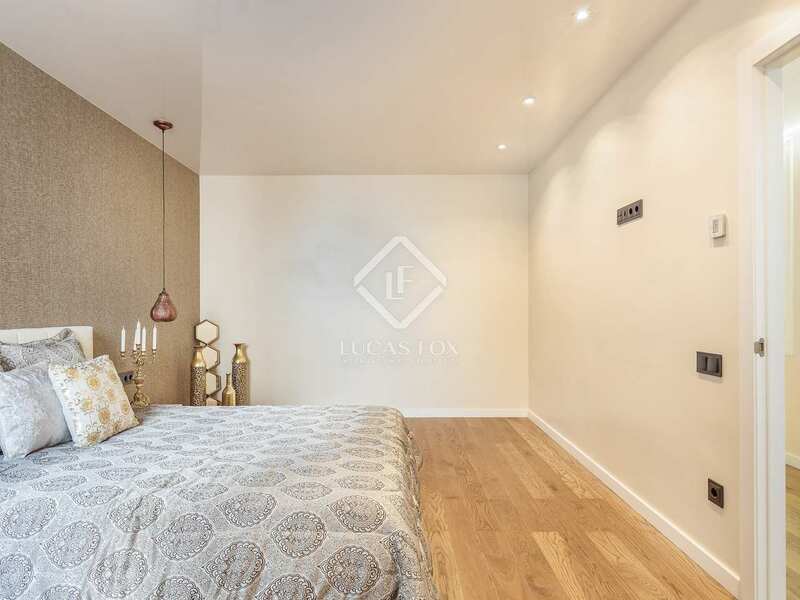 The third of these bedrooms is both peaceful and bright, facing an interior patio and with an en-suite bathroom. 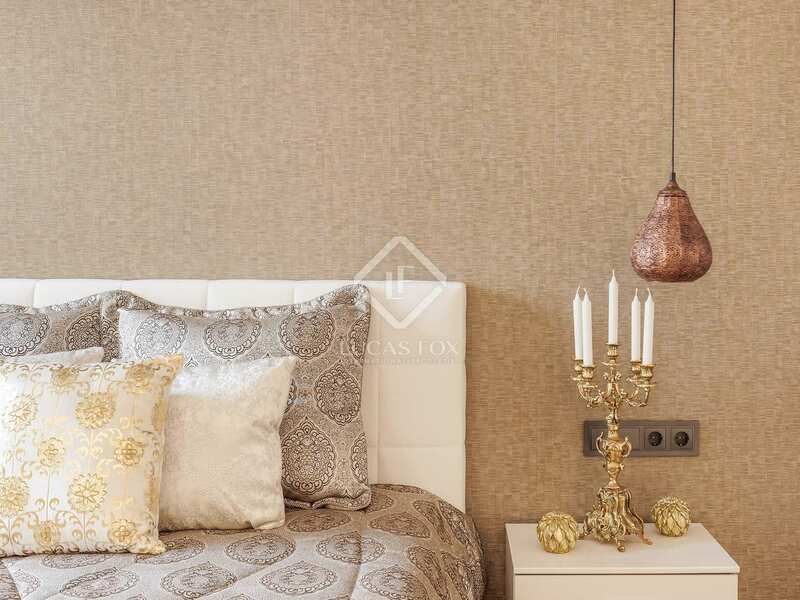 A further small room could be used as a additional bedroom with a double bed or alternatively as a study or office. 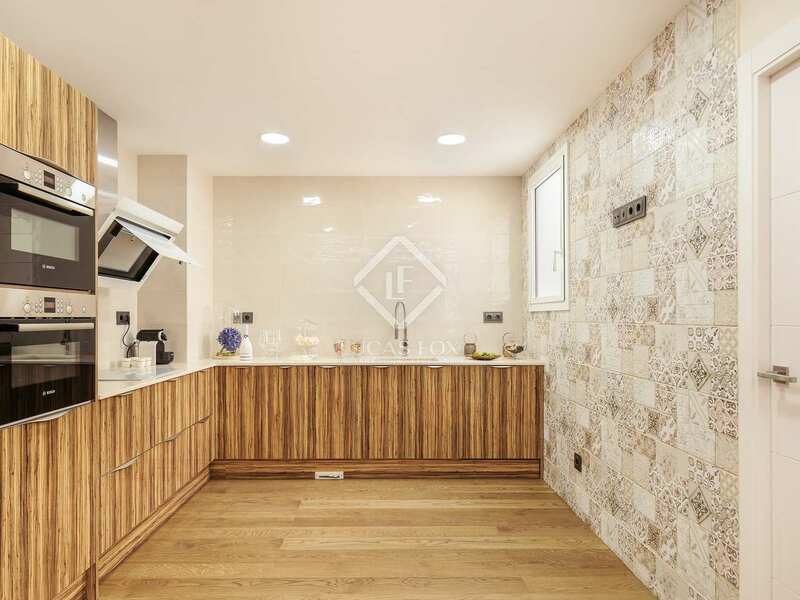 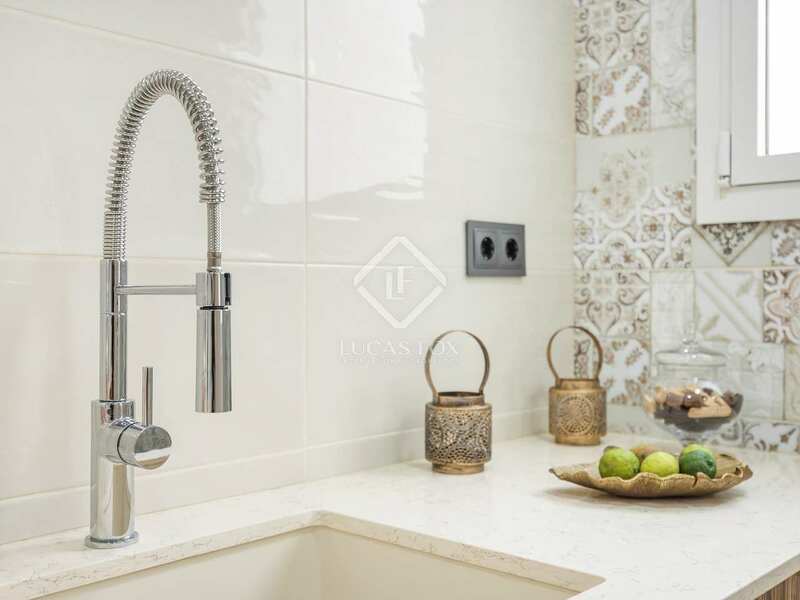 The generously sized kitchen boasts attractive wooden fittings which contrast with white countertops and tiling and is fully equipped with Bosch and Siemens appliances. 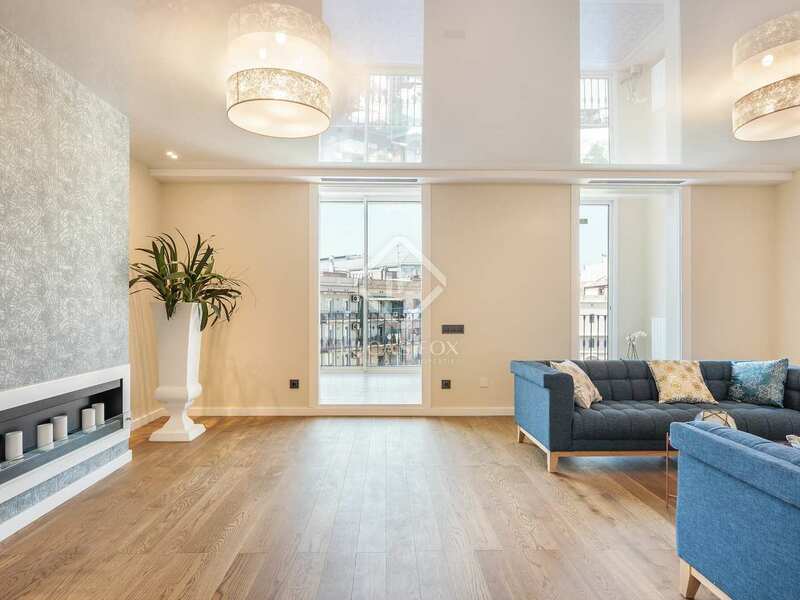 Heading through the kitchen we reach the vast living area which has a fireplace and a gallery allowing abundant natural light to enter throughout the day. 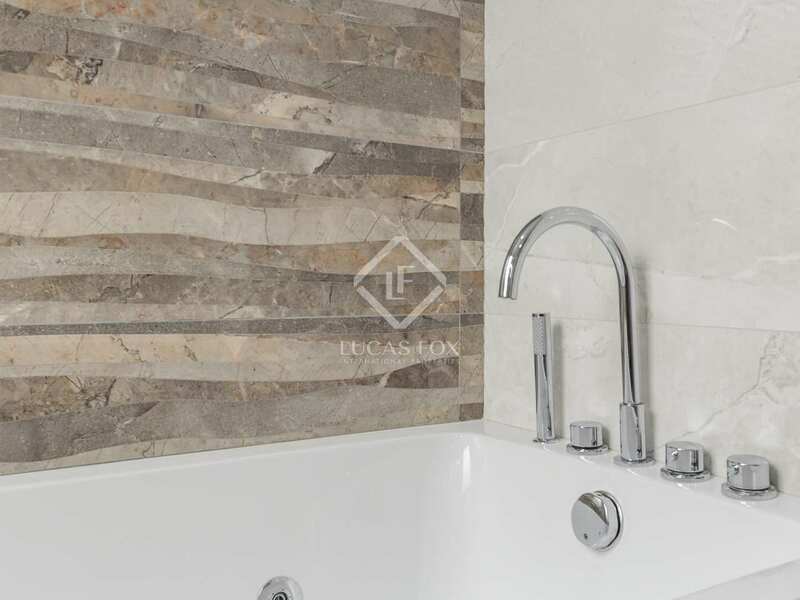 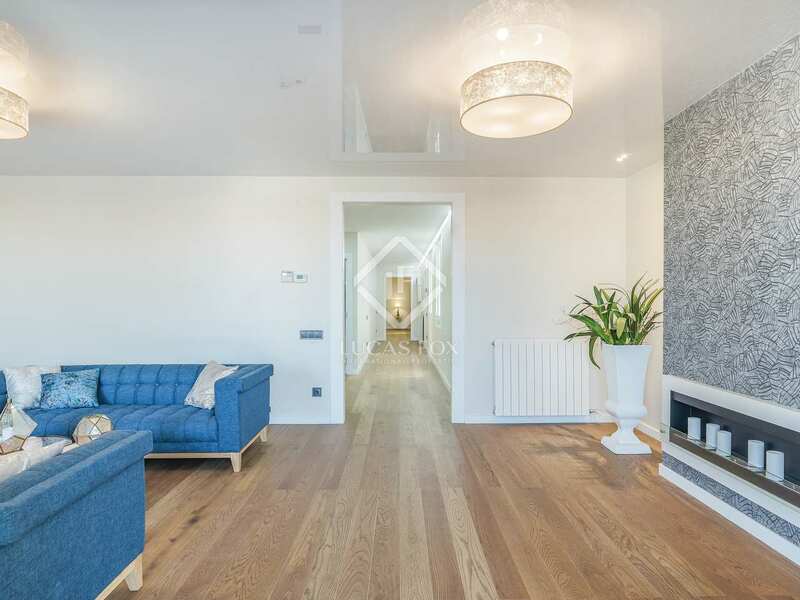 High quality finishes have been selected including solid wood flooring to create an elegant city centre home. 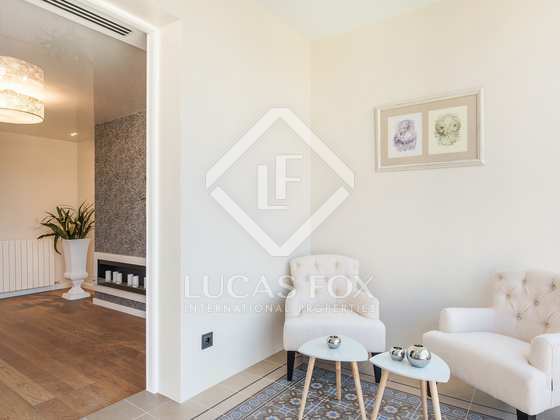 With hot and cold air conditioning and centralised vacuuming system throughout, the apartment is both comfortable and practical. 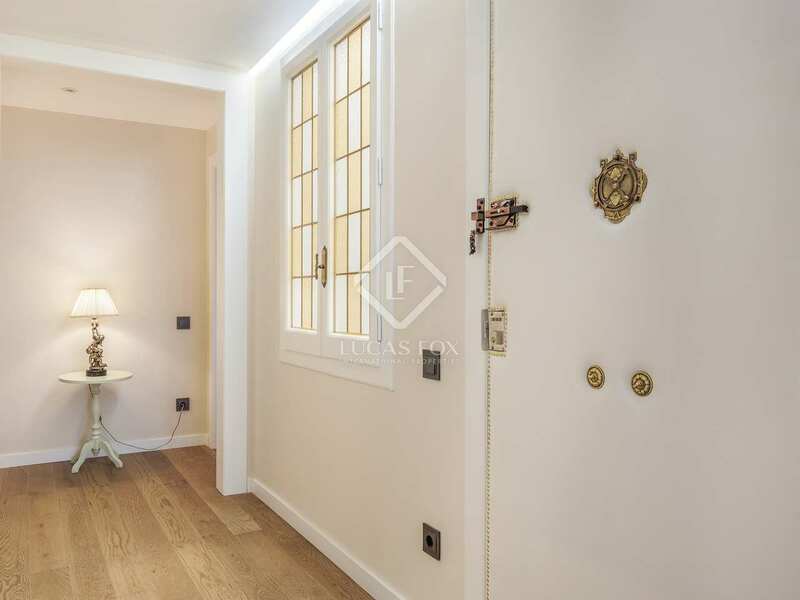 The property is registered as measuring 171.5 m² although according to the plans the built size is 187 m². 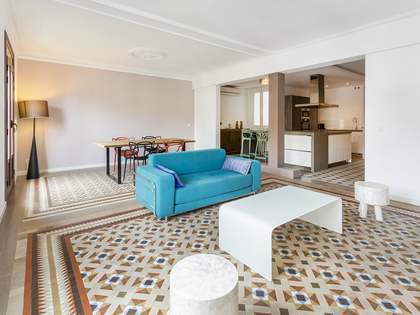 Within the 'Golden Square' of Barcelona's Eixample Right, this apartment is in a highly sought-after location, close to public transport and within walking distance to some of the city's best restaurants most famous sights and streets; the ideal location to enjoy everything Barcelona has to offer.